If you have never attended a toy show before get ready to be transported back in time. JACKSON, Mich. — If you have never attended a toy show before get ready to be transported back in time. As you walk into the Jackson Toy Show at the American 1 Credit Union Event Center you are transported back to your own childhood. Walking around all of the 200+ booths you found yourself saying "I had that toy as a kid." It was so fun to be able to see all of the people that were so passionate about toys reminiscing about the experiences that they had with the toys that were there. From diecast cars to action figures, toys from television shows from Transformers to He-Man, Star Wars, GI Joe and more. This toy show had a little bit of everything for everyone. Walking around the Jackson Toy Show I saw many people being drawn to toys from their own childhood eras. Whether you grew up in the 1970's, 1990's or even earlier you could find toys that would draw you back to those earlier years. The people at the Jackson Toy Show were of all ages and it was exciting to see young kids with their parents or grandparents talking about the toys and what the toys meant to them. Speaking with a number of the vendors and many of them had very similar stories. They got into collecting at some point in their life and then decided to start selling items said they found and bring joy to others. One vendor named Brad mentioned a similar story but also said that he has a barn full of other toys that he keeps for himself because of his passion for collecting and not just selling. 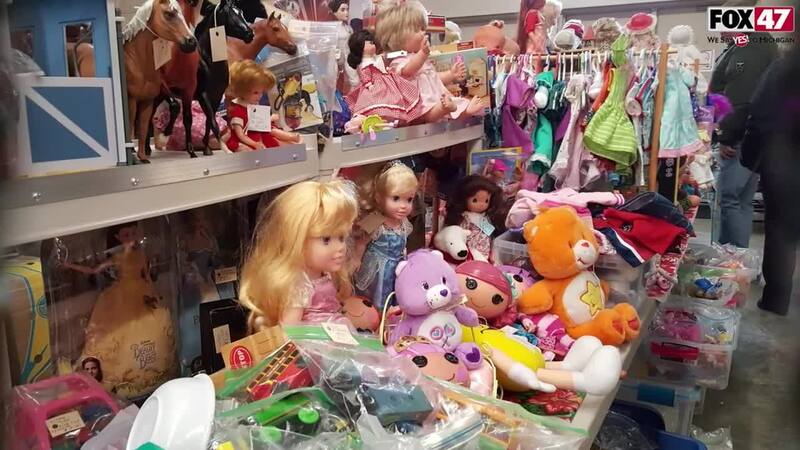 Jerry Dorer, the founder of the Jackson Toy Show, has this Toy Show two times a year. He stated that he started the Jackson Toy Show because of a passion for Diecast collecting. The next show is in November but there are also many other toy shows around the state of Michigan and around the Midwest. Whether you decide to purchase anything or not, you will find toys that you too can share with family and friends. Next time you see a Toy Show near where you live, take a chance and check it out as you too will be transported back in time and by the end of the visit you will leave with a smile on your face.